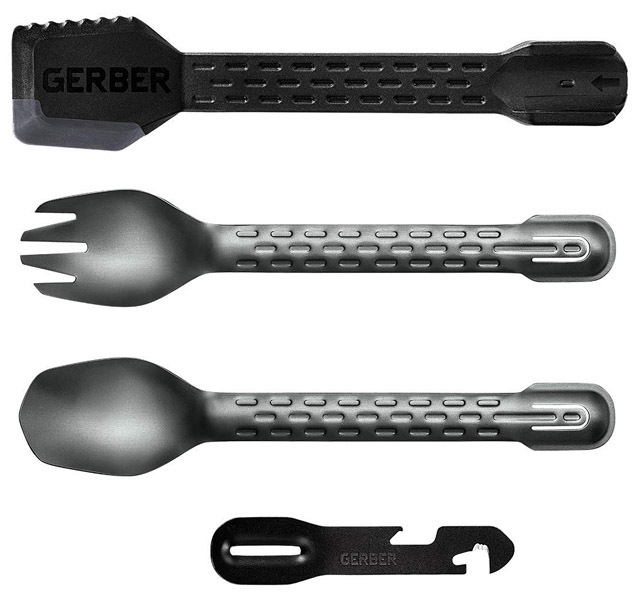 So Gerber (not the baby food people) have another entry into our fave category of “Everyday Carry Cutlery”. The ComplEAT has a rather silly name that isn’t a pun or anything I guess? But the design and function don’t seem that silly at all. 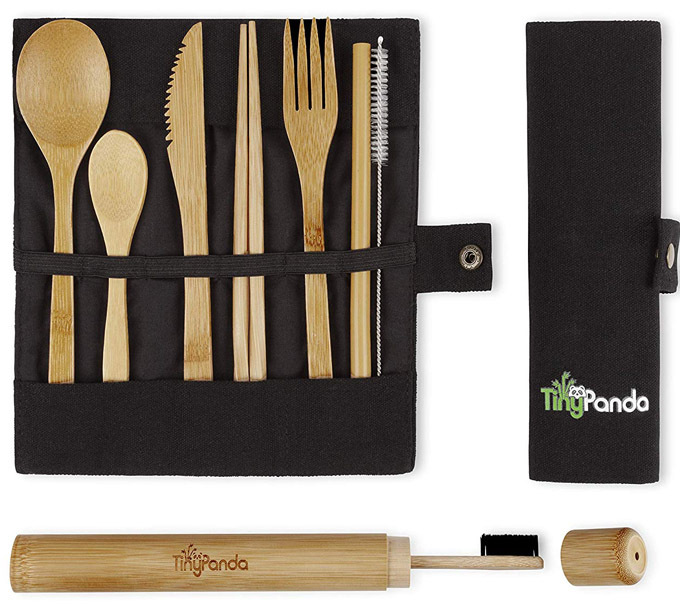 There are the four pieces you see above: spoon, fork, dual-sided spatula, and a 4 function multi-tool. And those four pieces of cutlery sure do at lot. 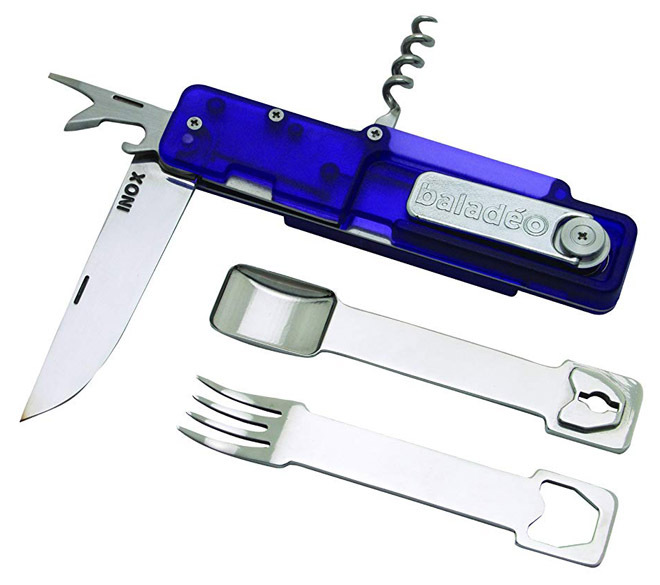 The little tool is a serrated package opener, can opener, bottle opener, and a veggie peeler. 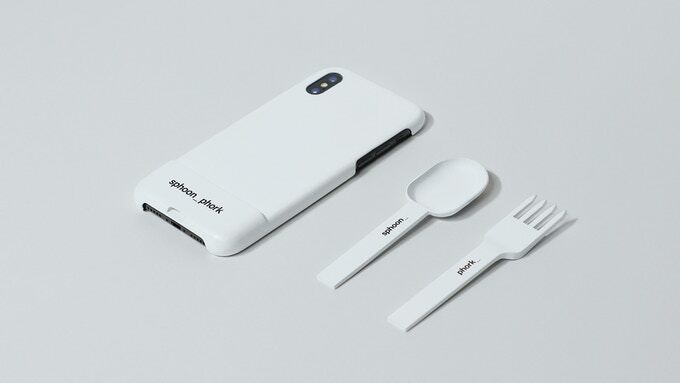 The spoon, fork and spatula make sense and the spatula connects with the fork to make a set of cooking tongs as well.